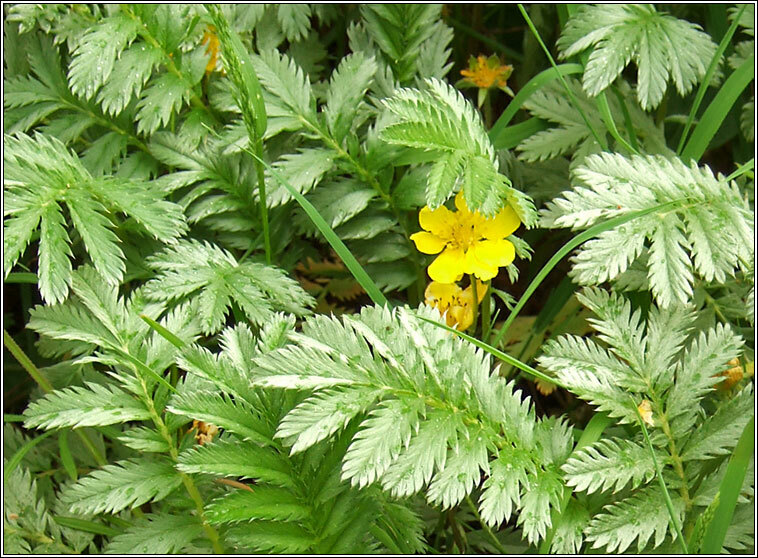 Habitat: Common in most parts of Britain and Ireland on roadsides, hedgebanks, waste grounds, grassy dunes and watersides. 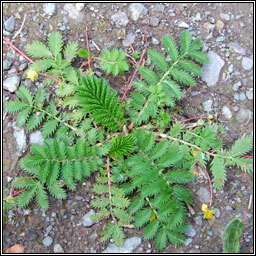 Low-growing creeping plant, the long stems spreading by rooting runners. The leaves are pinnate with many leaflets covered in silky white hairs. Solitary long-stalked bright yellow flowers with either 5 or 6 petals. Height and spread 10-40cm.